Official Opening Night of the New Clubhouse. In the presence of Members, donors, Shire Councillors, partners and friends. 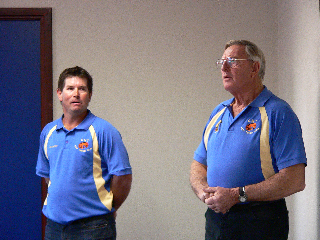 John Harris, Patron and life Member thanked all involved and officially opened the new club. Despite numbers being down a little from last year, the second annual local olympics is deemed a success. 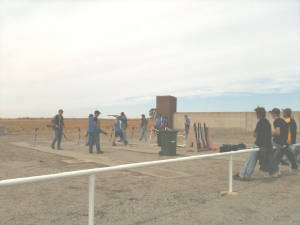 21 contestants shot off in 5 teams of three to be this years gold, silver and bronze medalists. 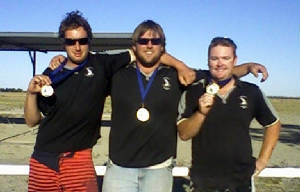 Winners and Gold Medalists were local boys, the 'Loose Cannons', Darren Beard, Norman Jenzen and Dave Fulwood. Their first place a stand out on a total of 67 points. 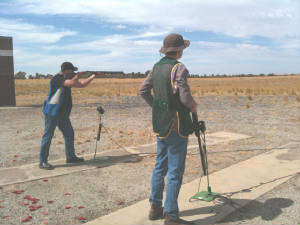 After a shoot off for second position, the Sivel Medalists with a score of 61 were the 'Syndromes', Dave Carter, Ryan Diver and Chris Carter. Bronze Medalists, also with a score of 61 were the 'Waterboys', Greg Treasure, C. Chant and T. Frazer. 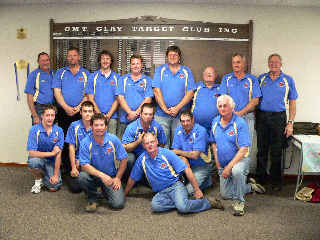 36 willing and eager participants signed up for what was considered by all a most enjoyable day at the first “Local Olympics” at the CMT Clay Target Club. The day began with a chat regarding safety and protocol before progressing onto the layout, where 12 teams of 3 shooters shot 2 rounds of 15 targets. 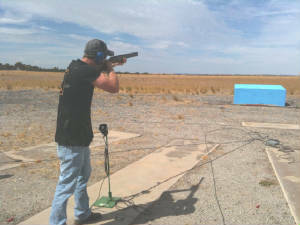 The shooters at all times had a trained member beside them who coached them each step of the way. By days end team ‘Hit ‘n Miss’ (Michael Walker, Kerrin Batchelor, Dan Carter) clearly had more hits than misses and were obvious stand out Gold Medal winners on a score of 70 points. A shoot off between two teams on 64 points was required for the Silver Medal and was won by team ‘Divers’ (Trevor, Ryan & Callan Diver) over team ‘Kella Fellas’( Kyran Cox, Marc Bell, Brett Cox). Given the day was such a success, it is intended to make the ‘Local Olympics’ an annual event. Having now the knowledge of what can be improved upon, we expect it to be better next year and hope that this years medallists will certainly return to defend their titles. Thank you to everyone who attended the day. It was great to see shooters of all ages including 3 father & son teams, a team of students from the Ag College and one lady.